Our team will be very pleased to advise you in all tax issues and to ensure that you are able to make the right decisions at the right time. Our services in the tax advice area ranges from book keeping to professional support in auditing up to expert reports regarding the optimization of tax burden. In tax matters, it is important not to leave anything unclear and to counter possible risks preventively. Only with the right partner at your side will you have the basis to make the right decisions at the right time. We offer you tax advice that covers all relevant aspects and offers you exactly the services you need: from current accounting (financial accounting) to professional support in tax audits and expert opinions as part of the optimisation of your tax burden. KRIEGER GmbH Steuerberatungsgesellschaft, based in Frankfurt am Main, offers you security exactly where you need to rely on external expertise, experience and know-how. We orient our actions individually to your needs and keep your back free so that you can focus on the essentials. KRIEGER is an interdisciplinary service company with offices in Germany and Luxembourg. We started with the maxim to offer you the greatest possible comfort – you can make use of our tax consulting services according to your needs. 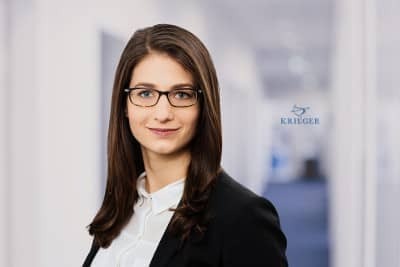 In order to give you an overview of the extent to which you can rely on KRIEGER, the following is an excerpt from our range of tax consulting services. Whether purchase or sale, whether letting, leasing or mortgaging – KRIEGER Steuerberatung provides you with exactly the figures, expert opinions and the like you need for the management of your real estate. We are also happy to advise you on the tax optimisation of your foreign real estate through our location in Luxembourg. The requirements and regulations in national tax law are becoming more and more complex. KRIEGER Steuerberatung is your full-service provider for accounting in accordance with HGB or IFRS. Through our law firm you also have access to auditors. The choice of the legal form is the foundation for the future viability of the company. Especially with regard to a sale, personal liability and questions of inheritance law, independent, well-founded expertise is required. KRIEGER Steuerberatung’s legal form transformation advice takes all relevant factors into account and gives you a precise overview of regulations, opportunities and risks as well as other aspects. As a merchant, you have a duty to keep proper records of all the affairs of your business. You fulfil this legal obligation with your annual financial statements and various tax returns during the year. KRIEGER Steuerberatung takes care of all the necessary steps for you and guides you safely through difficult terrain. You want to expand? With KRIEGER Steuerberatung at your side, you do not take any additional risks. We advise you in accordance with all relevant regulations and laws in the course of your expansion abroad. Any questions? KRIEGER Steuerberatung will not leave you out in the rain! In the previous paragraph we hope to have given you a compact overview of our range of services in the field of tax consulting. We work interdisciplinarily, force a constant advanced training of our employees and cooperate with auditors and lawyers in order to give you a maximum of security. Entrust the basis of your economic existence to a company that sets standards – KRIEGER Steuerberatung takes care of your affairs and keeps your back free. We offer tax advice with a national focus throughout Germany from our offices in Frankfurt am Main and Lampertheim.